Putting together the February issue is a heartwarming experience because it always has some focus on athletes in love. And in the ongoing post-election concern about LGBTQ rights, it’s especially gratifying to be able to showcase happy couples for those who don’t understand that #LOVEISLOVE. 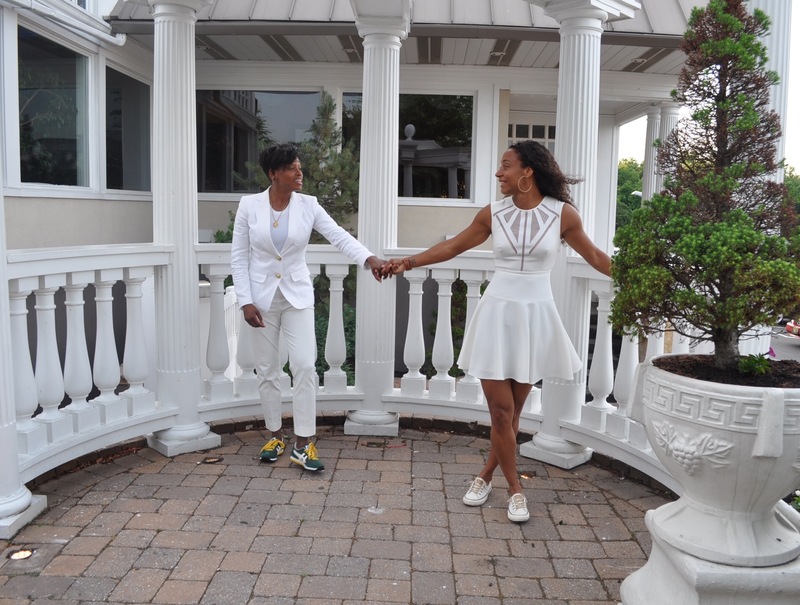 We are sharing the love stories of four athletes – Sharnee’ Zoll-Norman and her wife Serita Norman, and Thomas Fleisher and his husband Ken Hoffman. They are just two among many LGBTQ couples who are part of the fabric of our collective daily lives. I hope you have the chance to meet these awesome athletes in person sometime – they’re definitely worth meeting! There is absolutely no difference in the emotional feelings and mental thoughts between straight and gay couples. Everyone really should be allowed to love the person who makes his or her heart sing and, if a deeper love develops, they should also be allowed to marry. After all, love at its highest level is honoring and accepting others for who they are – members of what I call Team Human Race. For those who don’t agree with the opinions and lifestyles of the LGBTQ community, that’s not required. However, we all deserve basic human dignity and respect – the concept of Namaste. It’s also what we owe to others whose opinions and lifestyles don’t match ours. For all social media addicts, in this issue there’s a thought-provoking piece on the role social media has and continues to play in combating homophobia, transphobia, racism and sexism through increased participation by the athletic community. There is also an interesting story about Canadian luger John Fennell, holder of dual U.S. and Canadian citizenship, and his quest to compete for the U.S. as well as a very powerful interview with swimmer Cooper Robinson.